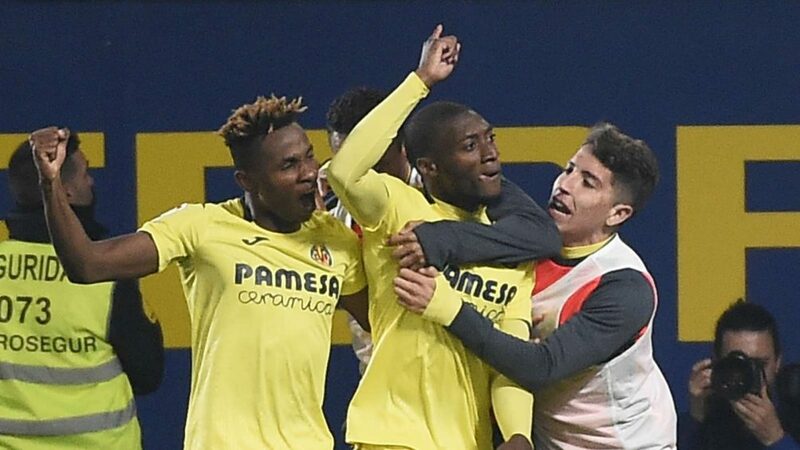 The winger who on Monday was named as Nigeria Young Player of the Year steered the Yellow Submarine to overcome a two-goal deficit at the Estadio de la Ceramica scoring and assisting with another before late goals from Messi and Suarez deny them victory. Philippe Coutinho put Ernesto Valverde’s men in front with only 12 minutes into the encounter after he was set up by Malcom. The Brazilian then repaid the kind gesture four minutes later assisting his compatriot to double the lead for the Blaugrana. Chukwueze then ignited his side’s comeback in the 23rd minute of the contest with an impressive individual effort. After beating off his marker, the youngster’s effort hit the bar before calmly slotting home the rebounce for his fourth league goal of the season. In the 50th minute, the Nigerian winger set up Toko Ekambi for his side’s equaliser before Vicente Iborra’s strike gave Javier Calleja’s men the lead for the first time in the game. With ten minutes left, Carlos Bacca increased the lead just before they suffered a setback after Alvaro Gonzalez was sent off for picking his second booking. The visitors capitalised on their numerical disadvantage as Lionel Messi reduced the deficit in additional time before Luis Suarez grabbed the all-important equalising goal. With the draw, Villarreal are one place above the relegation zone with 30 points from 30 games. They visit Real Betis in their next league game on Sunday. Is this more important than the sanctions gutted on 27 of your Bulu-Beti genocide enabling statesmen that led to the selling of an $8million house by Chantal Pulcherie Vigoreaux Mvondo Biya? Beti – Bulu disgrace. It was good to see Santi Carzorla playing again. If others change, it’s because they want to change, not because you can change them.